Hi, it’s Sneaky with some pawsome news to share with you readers. My author has received a purr-stigious Certificate of Excellence from the Cat Writer’s Association for her short story, The Path to Rainbow Bridge. Concats to Debbie for this wonderful story about where kitties go when they leave this world. A familiar poem for many pet lovers describes a place called Rainbow Bridge where pets go when they pass on and where their beloved human eventually joins them. If you have ever lost a special animal companion and wondered if Rainbow Bridge actually exists and what it’s like, the answer is imagined in The Path to Rainbow Bridge. This story, told from the cats’ point of view, takes place during preparations for an incoming resident—a woman named Kate’s elderly Siamese. The cats Kate has bonded with throughout her life also reside on Rainbow Bridge and are happy to welcome the new member of their fur family. However, a big surprise awaits one of them after the new cat arrives. Meow, my pawsome readers. 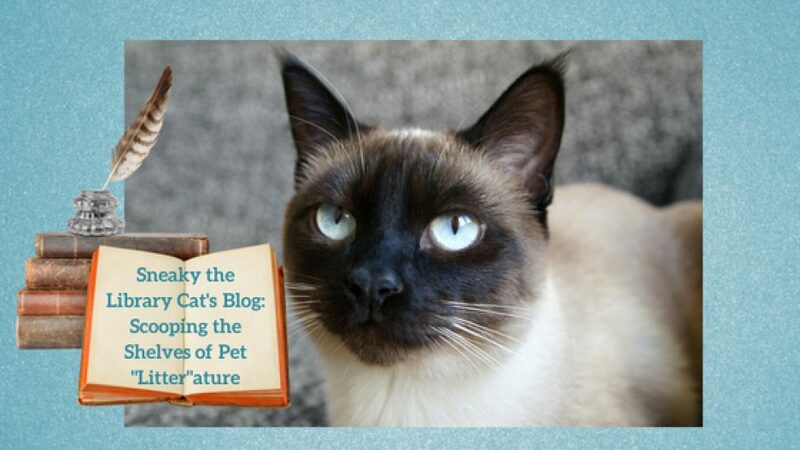 Just a tails-up that I’ve now added a pawprint link to this blog’s sidebar that takes you directly to my author’s Amazon page no matter where you live (it is a universal link). From there, you can buy my Cobble Cove mysteries or any of Debbie’s other books. Debbie also has added a similar “buy botton” to her website/blog, but it’s not as mice as mine. Check it out here: https://debbiedelouise.com. Keep your eyes out for Debbie’s new release this week, When Jack trumps Ace. It’s a romantic comedy novella, and although I am not featured in it, there’s a cute cat named Roxie. She’s also Siamese and has the luck of belonging to a jewel thief who gave her a very expensive collar. Also, the long-awaited reprint of my first mystery, A Stone’s Throw, is in the works and should be out shortly. Old editions are selling for $500, but please ignore that outrageous price. We don’t get any part of it. The reprint by Solstice Publishing will include a new cover, a new chapter, and some excellent editing. Later this spring, my third adventure, Written in Stone, will be released with my lookalike on the cover, and there will be three wonderful stories in my series. I can’t wait! Just remember, all these books will be available in eBooks and paperbacks. Debbie’s short stories are published as eBooks and included in several anthologies in both eBook and paperback. Cupid’s Arrow, the Valentine anthology coming out the same day as her novella, will feature her historical romance, The Seashell and the Stone. So keep your eye out for my and Debbie’s updates and remember our buy links. Great reading is now just a pawprint click away.